Energy is required to perform all the activities of life.The existence of this living world depends upon the flow of energy and circulation of material through ecosystem.The ultimate source of energy flow in the ecosystem is sun.The laws of thermodynamics are followed by energy flow in ecosystem.According to the law of thermodynamics"energy can neither be created nor destroyed but remains constant.However,it can be changed from one form into another". 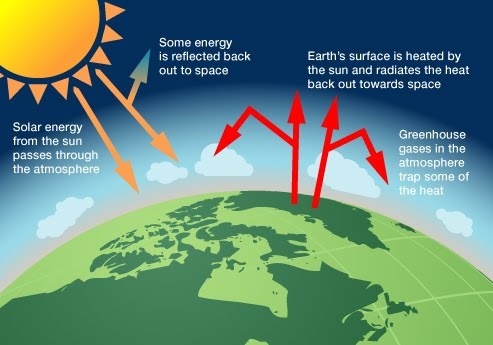 The total amount of energy coming from the sun if taken to be 100%.Than among it about 57% of this energy is absorbed in atmosphere and scattered in space.About 36% is used in heating water,land and also in evaporation of water.Almost 8% of light energy from sun is used by the plants out of which plants absorb almost 80 to 85% and among this energy plants utilized only 50% in photosynthesis.The plants captured this energy and stored it in the form of potential energy in their foodstuffs. Plants are producers and they represent the first trophic level of ecosystem.The energy flows from the producers to the primary,secondary and then to the tertiary consumers.At each trophic level some part of energy is used in respiration to sustain that trophic level while some part of energy is stored in the bodies of living organisms and the remaining energy is lost to the environment. Similarly when animals eat plants less quantity of food from plants is converted for building up of protoplasm while its most of it lost as heat and also in the form of undigested wastes.In these organism,some of this energy is used in metabolism while large part of it is transferred to primary consumers.Some of this energy is used by primary consumers and rest is transferred to the secondary consumers and from them this energy is transferred to the tertiary consumers and so on by process of eating and being eaten. 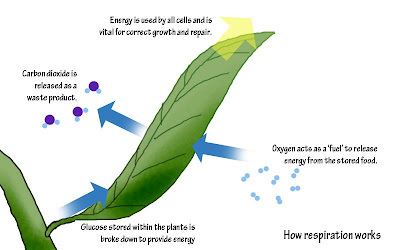 Thus it can be observed that there is successive reduction in the energy as it transfer from one level to another.Living organism cannot get this energy back.Similarly when living organism used food energy in respiration it is no longer available to it.An organism need a fresh supply of food for its use.This means that in living components of ecosystem energy does not circulate in acyclic way.In all ecosystems,this one way flow of energy is universal. So,in order to maintain ecosystem there is a need of constant external supply of energy.In ecosystem,for continuity of life sun is the basic source of energy.It means when we observe this whole transfer of energy from primary source of food up to the next higher levels,it is clear that not only the energy available to these organisms goes on decreasing but also the population of animals goes on decreasing.